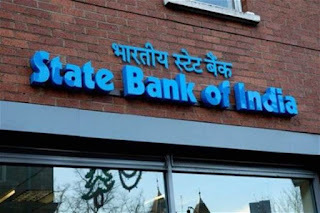 State Bank of India (SBI) on Friday posted a third consecutive quarterly loss of Rs 4,875.8 crore in the three months to June. The country’s largest lender attributed the losses to higher provisions for mark-to-market losses on the bond portfolio, lower trading income and to higher provisions on account of wage revisions. Chairman Rajnish Kumar said the lender was likely to report a profit in the December quarter. He said he was not sure about the September quarter results. The chairman explained that the mark-to-market provisions were high at Rs 5,900 crore since the bank had not opted to defray the provisions over four quarters as allowed by the Reserve Bank of India. Instead, all the provisioning had been taken care of in the June quarter. Profits, Kumar added, had also been impacted by provisions to the tune of Rs 900 crore towards gratuity. “We had provided for this in the previous quarter and we will do it in the next two quarters as well,” the SBI chairman told mediapersons on a call. The lender’s asset quality during the quarter was little changed as the gross non-performing assets (NPAs) declined marginally to 10.69% from 10.91% in the March quarter. Net NPAs improved 44 basis points sequentially to 5.29%. Slippages during Q1FY19 stood at Rs 9,984 crore, much smaller than the Rs 33,670 crore in Q4FY18. Kumar said the outlook was positive. “The quarterly performance of the bank has been very good and only a few variables have seen a decline,” he said. Operationally, the lender fared satisfactorily with domestic advances registering a growth of 7.2% year-on-year of which retail advances increased a good 14.11%. Net interest income was up 23% year-on-year to Rs 21,798 crore. Domestic net interest margin rose 28 basis points sequentially to 2.95%. Provisions and contingencies surged 115.33% to Rs 19,228.26 crore in Q1FY19 from Rs 8,929.48 crore a year ago. However, on a quarter-on-quarter basis, they declined 31.56% from Rs 28,096.07 crore. SBI’s deposits increased by 5.58% from Rs 26.02 lakh crore as on June 17 to Rs.27.47 lakh crore as on June 18. Notably, the bank’s domestic CASA (current account, savings account) deposits increased by Rs 82,740 crore and the share of CASA to total deposits rose to 45.07%. Gross advances rose 5.5% year-on-year to Rs 19.90 lakh crore. Of this, domestic advances grew to Rs 17.23 lakh crore, while retail advances increased to Rs 5.59 lakh crore.